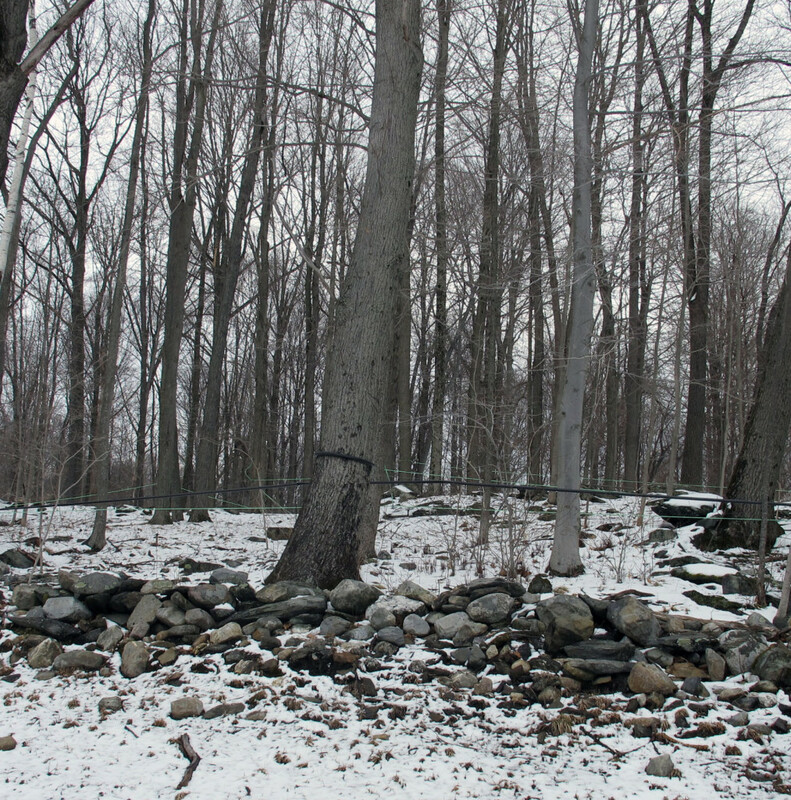 All the snow that’s been piling up in the woods here in and around Amenia has added to the maple sugar farmers’ workload. Over the past decade or so, they’ve been tubing the trees; running lengths of clear tubing from one tree to another all to collect in big tanks at the terminus. But this year with snow remaining three or more feet high, there’s no way to get into the woods to set the systems up, or adjust them. Some of our local sugar farmers are resorting to the old spike and pail method–snowshoeing their way in, drilling, spiking and hanging them good ole sap pails. We’ve even heard the maple is overflowing. Sugar farming is very unpredictable, like the weather–ha, ha, and comes with its own window that opens then closes shut. As a little girl I would watch my mother bake and she would always tell me “Sandy, use the best, the highest quality ingredients you can find.” She would bake for church dinners and everyone would ask for the recipe. Inevitably “everyone” would bake that recipe and use cheap ingredients to save money, i.e. margarine in place of butter etc., and then ask Mom why theirs didn’t come out as wonderful and delicious as hers? LOL! So it has become my mantra that if you’re going to take the time to bake something for someone, use the very best ingredients you can find or don’t bake at all. Just go buy something at the store or bakery. Then came the new challenge. GLUTEN FREE. 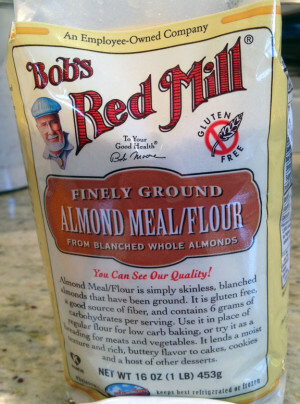 Because I am new to the whole gluten free thing, up until now, I’ve resorted to using the gluten free mixes because if you’ve experimented in gluten free baking at all, you know that it’s wildly expensive, considering all the special ingredients that are typically used like arrowroot, xanthum gum, and potato starch to name a few. And P.S. the gluten free mixes taste like a yellow cake mix. Sorry, but yuck. So I’ve started with pancakes since they are the most requested breakfast dish here. 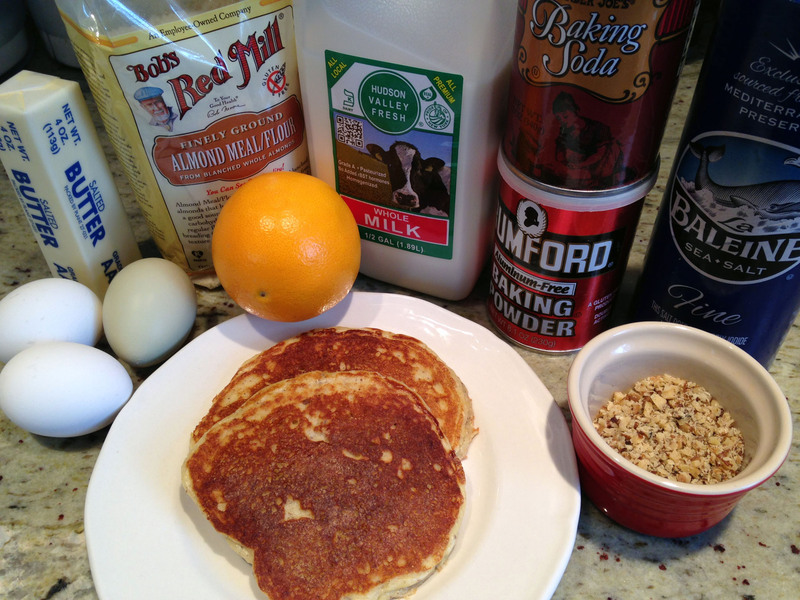 I was determined to find a scratch pancake recipe that didn’t involve all those special ingredients. I wanted fast and simple. Ok, listen closely: ALMOMD FLOUR! (chorus) All I can say is WOW! I wish I’d found you four years ago. Beat eggs in a medium-sized mixing bowl. Whisk in milk and butter. Cook on lightly greased griddle until edges look dry, then flip and cook for one or more minute until browned. Watch your gluten-free guests’ eyes light up!